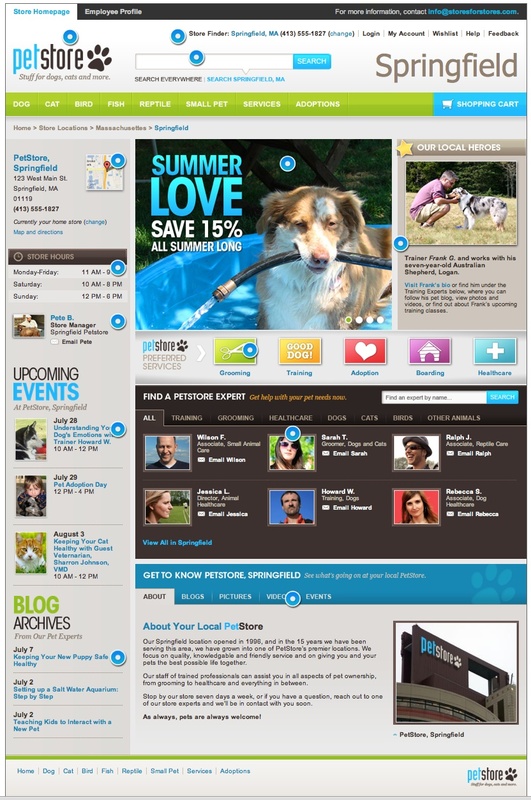 Do you think that your website should do more than just be an on-line brochures with a store finding tool? How can you empower, and even incentivize, your employees to interact with prospective customers when they are on-line? How can your corporate brand persist at the local level? In this first of three posts about the Stores4Stores local retail website application, we will focus on keeping the look and feel of the corporate website while offering up more store and employee specific information than what is typically found on a store locator page. The fully featured Stores4Stores local retail website page is visible at the bottom of this page. This post will focus on the top third of the Stores4Stores Page. To see how your retail brand can be personalized at the local level, let’s take a quick tour of Climb Technology’s Stores4Stores store specific website building software. Here, you’ll see how individuality can be shaped and maintained through a corporately controlled SaaS solution. 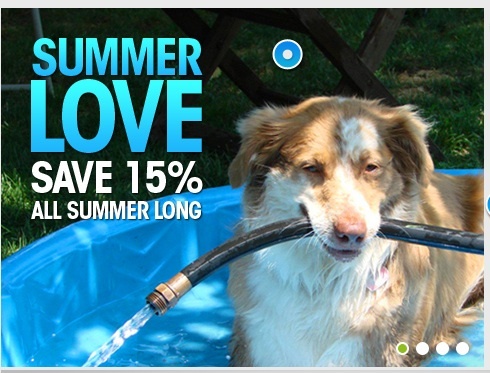 This is a screen shot of Stores4Stores local retail website. You can see the full screen a the bottom of this blog post. Notice how this sample local store website includes your company’s logo, a store finder option, a product search function, and top-level departments. These elements can be made consistent with your brand’s existing web page and corporate identity. The features are the same as on a typical eCommerce site, and are set up and maintained by a corporate administrator. 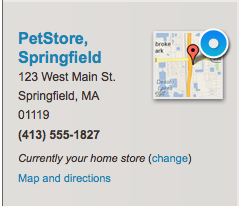 You can easily add a Google Map and listing of the store’s location, hours, and manager’s name. In addition, there is a place in the center of the screen for a scrolling set of bold, attention grabbing images to promote sales, local events, or specific products using a library of internally-generated, pre-approved images. An easy-to-use pre-approval process lies behind all of the images and all of the text, which populate the Stores4Stores generated website. Through an intuitive series of administrative menus, individual store managers and corporate administrators have access to ALL of the information that someone at an individual store plans to post. Only after approving a planned post will the information become live on the Stores4Stores generated store specific website. To see how staff can get in on the process of making changes to the Stores4Stores web store application for their particular retail store, check out our next blog, or contact Climb Technology for a complete demonstration. To see the second post in this three-part post, click here. The third part is here.